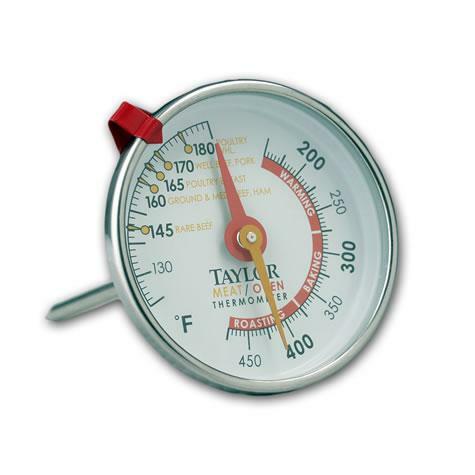 Monitor cooking and oven temperatures at the same time with one convenient thermometer. Oven range 150°F to 475°F and cooking range 120°F to 190°F. Common meat temperatures and oven ranges printed on dial.